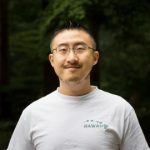 Kaiqi Hua is a Postdoctoral Fellow in the Department of Asian Studies. He is a historian of religion and society during the 13th and 14th centuries in Mongol Eurasia and Chinese Inner Asia’s states including the Mongol Yuan and the Tangut Xi Xia. Regarding history, he focuses on the Mongol Empire (13-14th centuries), especially the Yuan dynasty in China (1271-1368), the history of Tangut people and the diaspora from the Xi Xia Kingdom (1038-1227), and the history of the Silk Road (which connected East Asia and Inner Asia). Regarding Buddhism, he focuses on unorthodox Buddhist movements and heretic sects, and Buddhist book printing. Kaiqi is also interested in digital humanities, especially historical databases and digital maps.